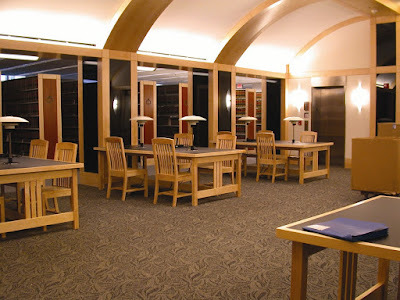 The Wisconsin State Law Library is searching for two part-time library assistants, 22.5 hours per week, for each position. Qualified applicants must be available to work Monday through Friday, 8 AM-12:30 PM or Monday through Friday 12:30 PM to 5 PM. Duties include: staffing the circulation desk, filing looseleaf services, shelving, moving and shifting book collections and loaded book carts, creating invoices, issuing library cards, and other collection maintenance activities. Skills include: excellent professional and friendly customer service skills in person and on the phone, working well independently and in pairs and teams, working in the circulation system and other computer tasks, cash handling, ability to follow written directions and to do multiple tasks with a high degree of accuracy and attention to detail. Pay is $11/hour. Located on bus line, just off the Capitol Square. To apply, please submit a cover letter and resume to elspeth.gordon@wicourts.gov which must include your hours available to work. The Wisconsin State Law Library is seeking an outgoing, energetic, and well qualified candidate for a full-time Reference and Instruction Librarian. SALARY: Minimum salary of $54,830 (actual salary may change, commensurate with experience). 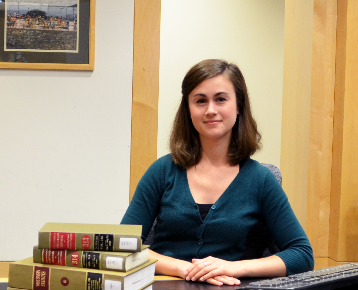 Manages the State Law Library's public training program. Develops and teaches legal research classes. Participates in marketing and outreach initiatives. Participates in library and other professional activities. QUALIFICATIONS: Required: (1) Library science or legal research coursework at the graduate level, emphasizing reference, information and on-line services; (2) Legal reference and research skills; (3) Understanding of Judicial, Executive and Legislative functions of all levels of government. (4) Demonstrated ability to teach adult learners; (5) Effective oral and written communication skills; (6) Knowledge of marketing strategies for libraries; Preferred: (7) Master's degree in library science; and (8) demonstrated competence in legal reference, including proficiency in Westlaw, Lexis, PACER and the Internet. TO APPLY: Please go to the Court System's website http://www.wicourts.gov/courts/employment/apply.htm and submit a cover letter and resume (please combine your cover letter and resume to one document) clearly indicating your qualifications and the position title Reference and Instruction Librarian (#18-1479). If you are unable to apply online please send application materials to human.resources@wicourts.gov or send to: Human Resources, 110 East Main Street Suite 430, Madison, WI 53703-3356, (608) 266-3501 or FAX (608) 261-8293. Failure to follow these procedures may result in your disqualification. DEADLINE: All applications must be received by 11:59 p.m., Monday, August 7, 2017. The Wisconsin Court System will provide reasonable accommodations to qualified applicants when requested. For additional information on the court system visit our website at www.wicourts.gov. Get our fall CLE classes on your schedule! Our Milwaukee CLE program is scheduled through November with new classes on using Google tools and search tips to enhance productivity. Two advanced Westlaw classes await learners in October, and our November class focuses on Fastcase and Books Unbound, which is available to users on library computers. Registration is suggested through the Milwaukee Public Library and space is limited. Call 414-286-3011 to register for these demonstration classes. The David T. Prosser Jr. State Law Library will be closed from 8 am to 10 am on Thursday, July 20th for a staff in-service. The Dane County Law Library and the Milwaukee County Law Library will be open during this time. To ask a question to the Wisconsin State Law Library while we are closed, you may call us at 608-267-9696 or Ask a Librarian online. The July issue of WSLL @ Your Service is now online. As always, your comments are welcome. Please direct them to the editor, Kristina Martinez.